So you’ve signed up for your first text marketing plan, and now what? Experiencing success with our group texting service is a relatively easy task, as long as you follow some basic instruction. Don’t ignore compliance guidelines. Understand the importance of high value, exclusive offers. 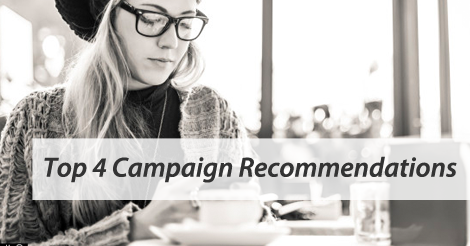 Most importantly, include the following campaign recommendations in your marketing schedule. 1. Birthday rewards is a no brainer. Now, don’t go giving away the entire kit n’ caboodle. Keep your birthday rewards simple. Why are they so valuable? Simply because they exist. They show your subscribers you care. 2. Take a stab at drip automation. Sure, this might be an advanced level tactic, but that doesn’t mean it’s impossible. Take time to schedule out automated messages 7 days, 30 days, or even 3 months in advance. This sets a standard for subscriber engagement, and contributes to continuing brand loyalty. 3. Picture messaging really sells. Picture messages are the icing on the cake. Text only offers work, but you can honestly do better. Do picture messages always apply? No. But if you work in restaurant or retail, they can really help sell your product. Picture it this way. You work at a restaurant, and you’re running a wing special. Why not fire out a mouthwatering picture of wings along with your text offer? 4. Grow your web of communication with email capture and integration. This is another one of those “switch it and forget it” features. Turn on email capture, offer an irresistible incentive in return, and then watch as your mailing list grows. At Slick Text, we strive to make growth a pretty hands off thing. Take advantage of our awesome features, and watch as your list engagement soars. Partner up with top group texting service, SlickText.com. Give us a buzz at 1.800.688.6290 to learn more or head over to the pricing page and sign up for a free plan. We want to help your small business grow. Best part? We’ll help you do it on a budget. Don’t throw hundreds of wasted marketing dollars towards methods that don’t even work.